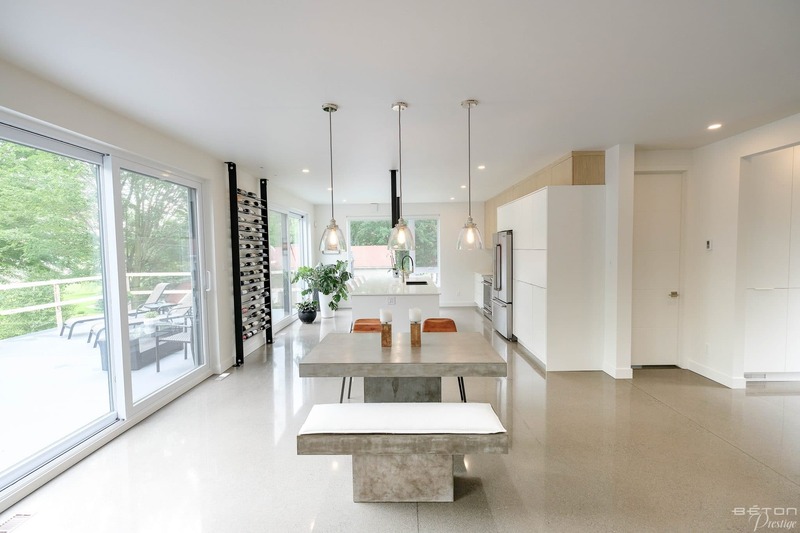 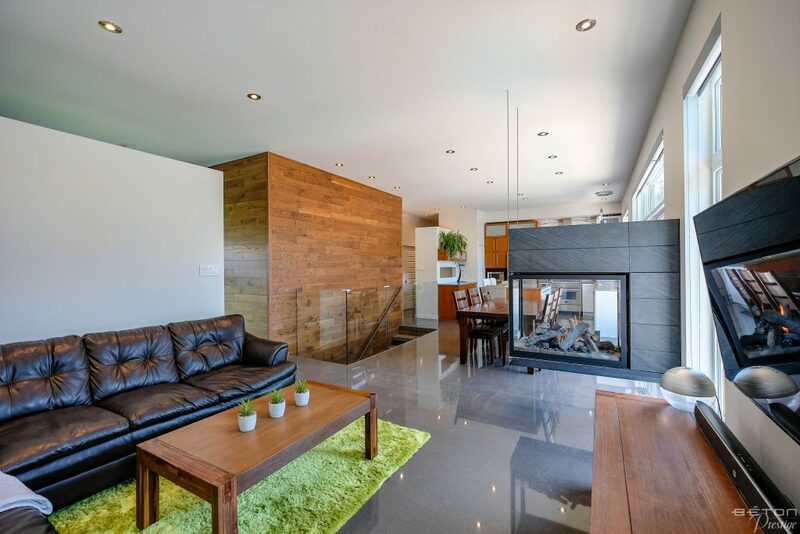 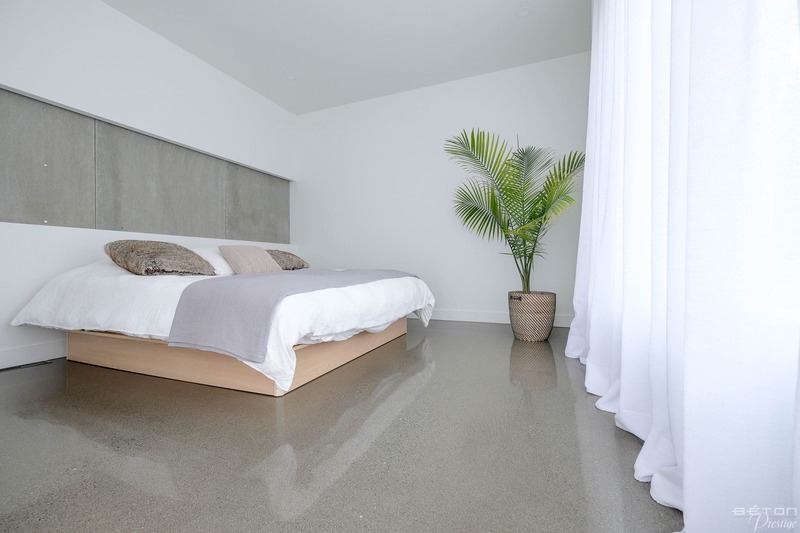 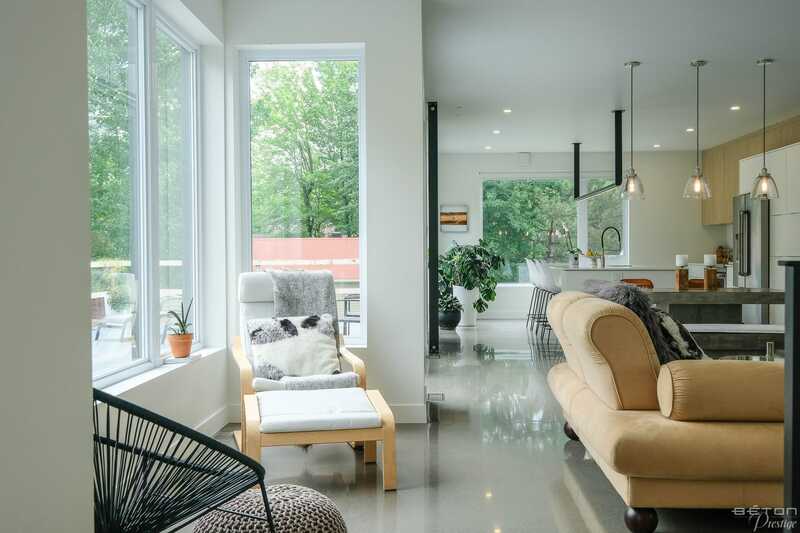 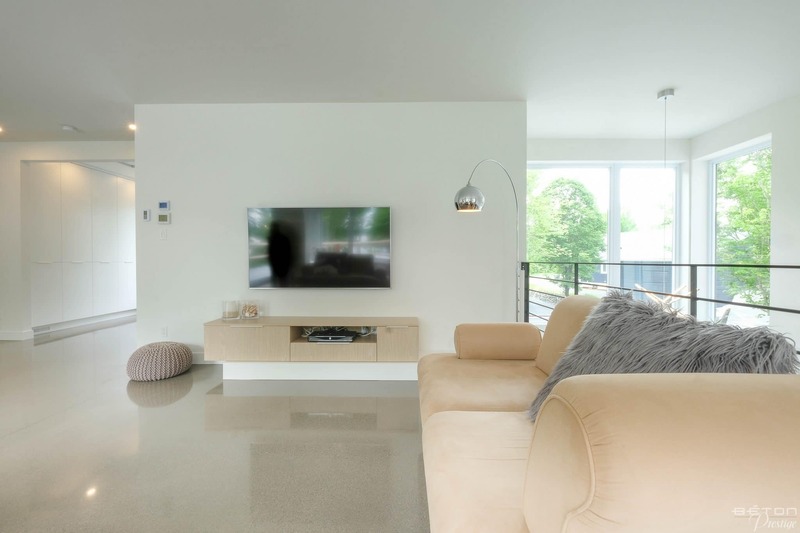 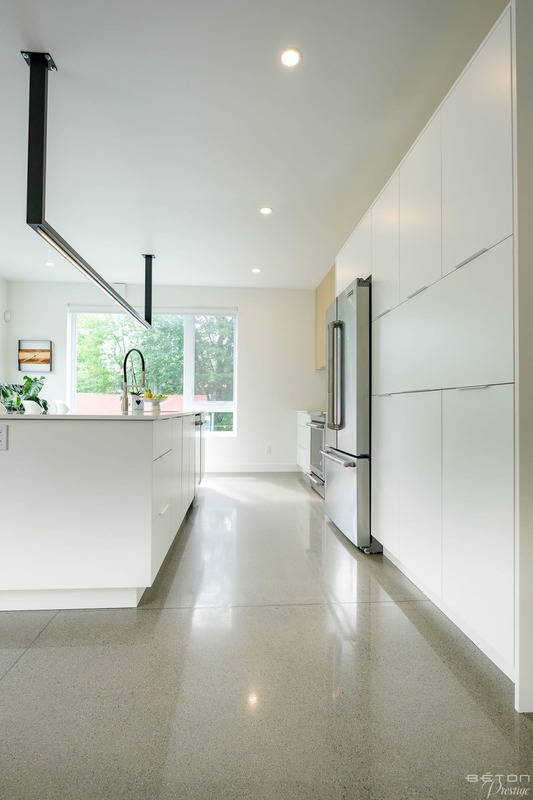 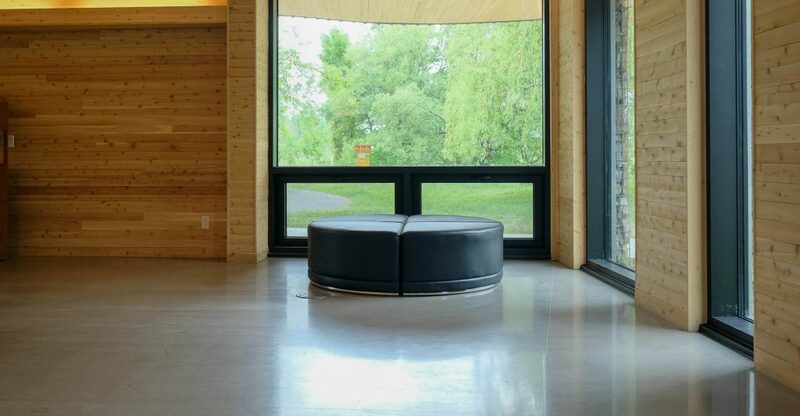 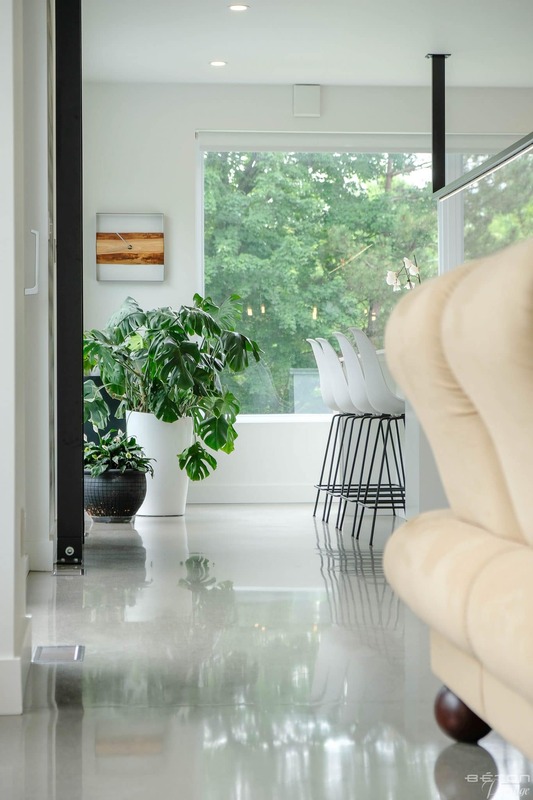 This living space, impeccably designed by the architecture firm Faucher Gauthier Architectes, enhances the beauty of the polished concrete floor and vice versa. 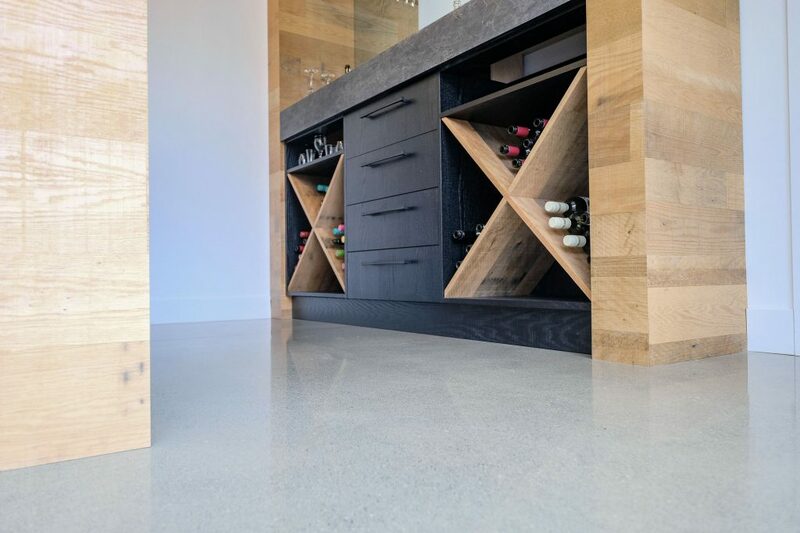 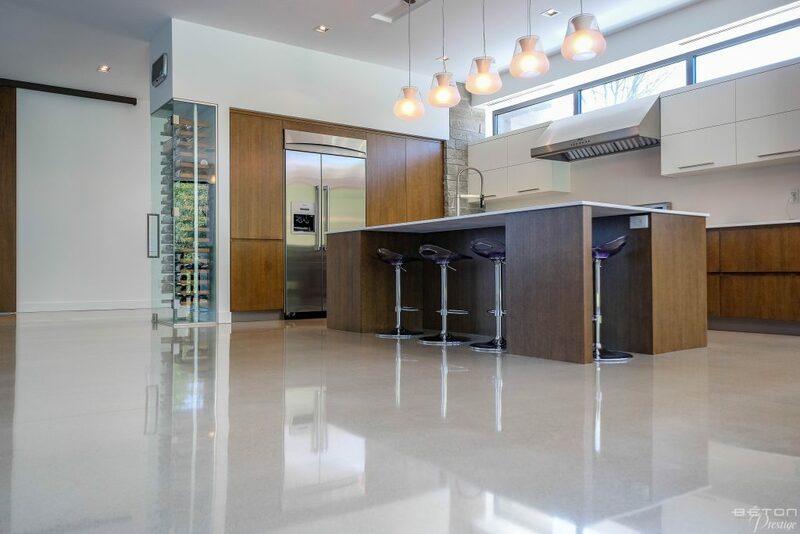 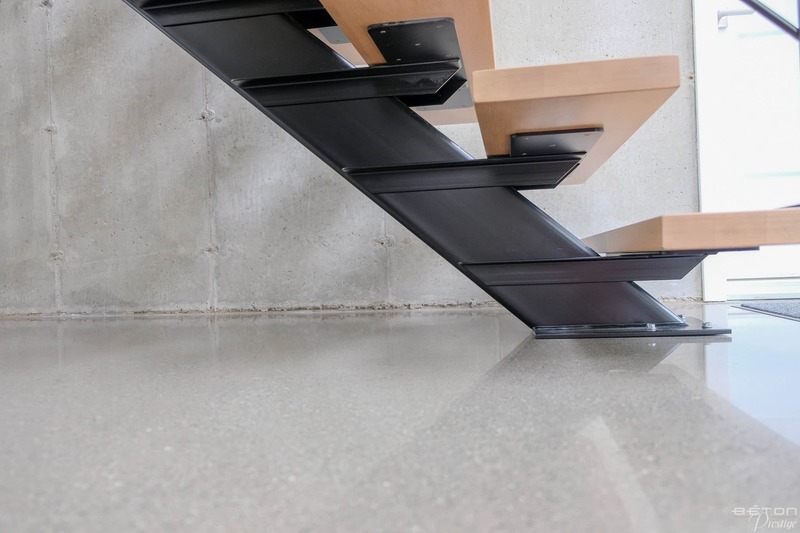 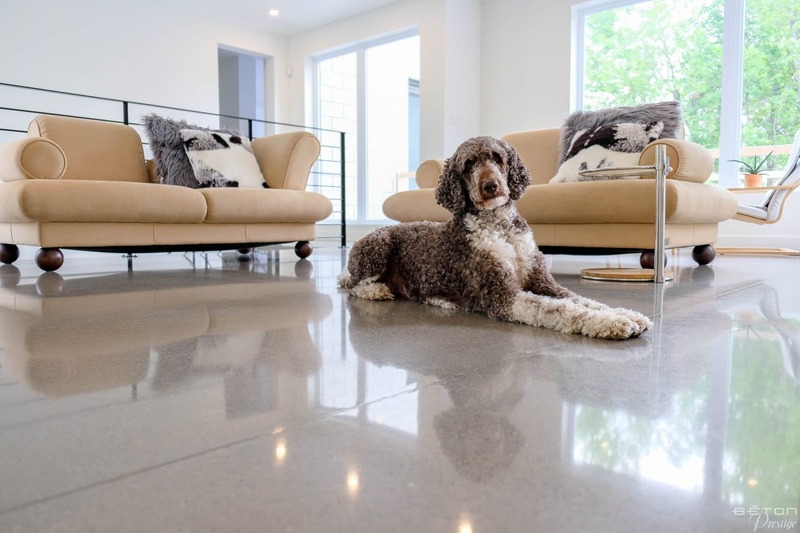 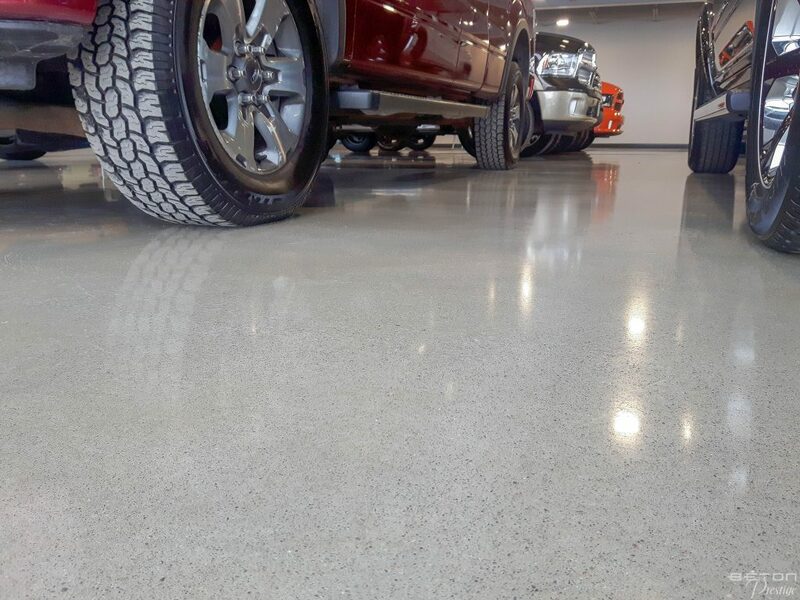 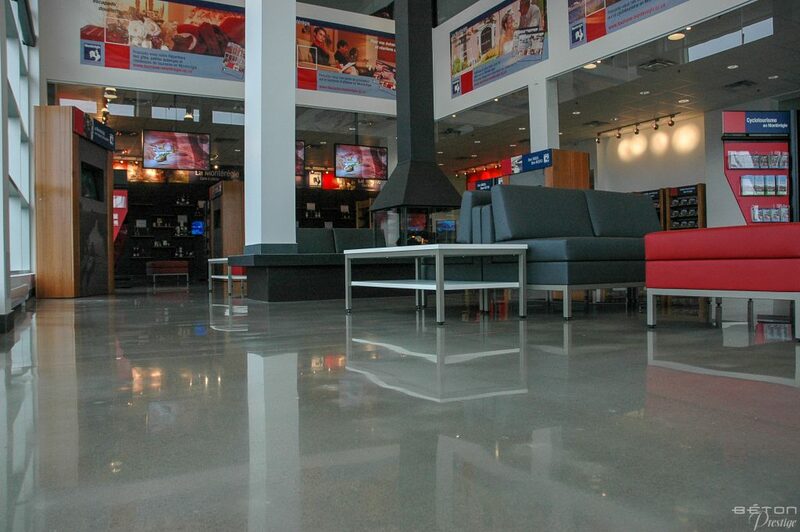 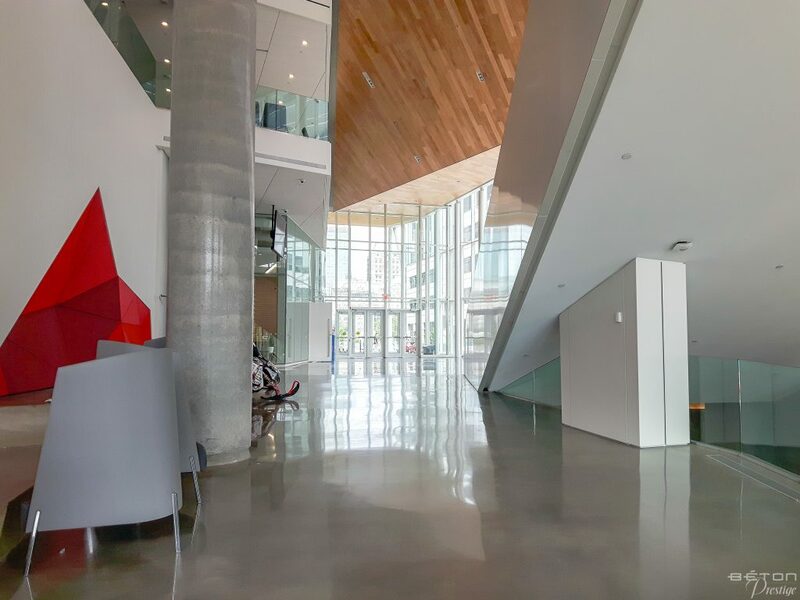 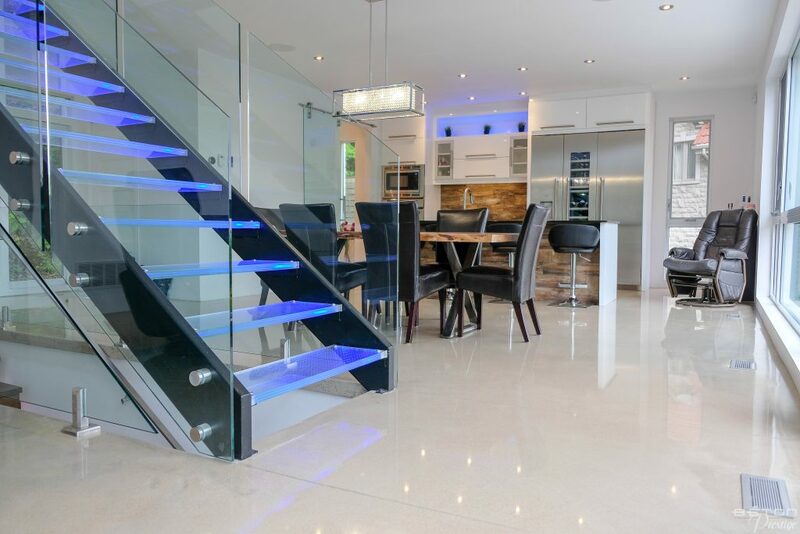 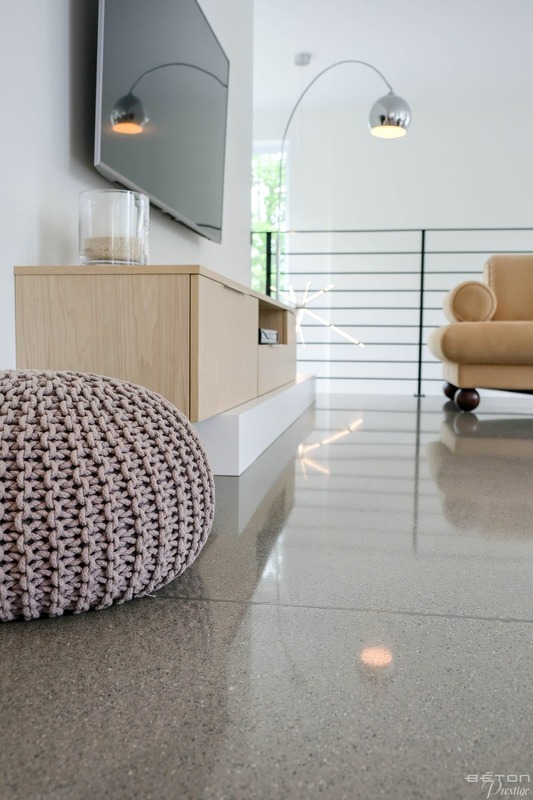 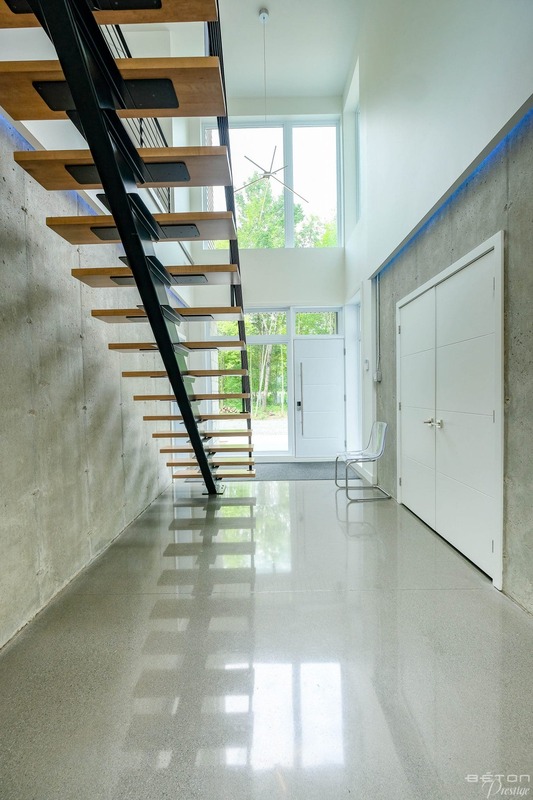 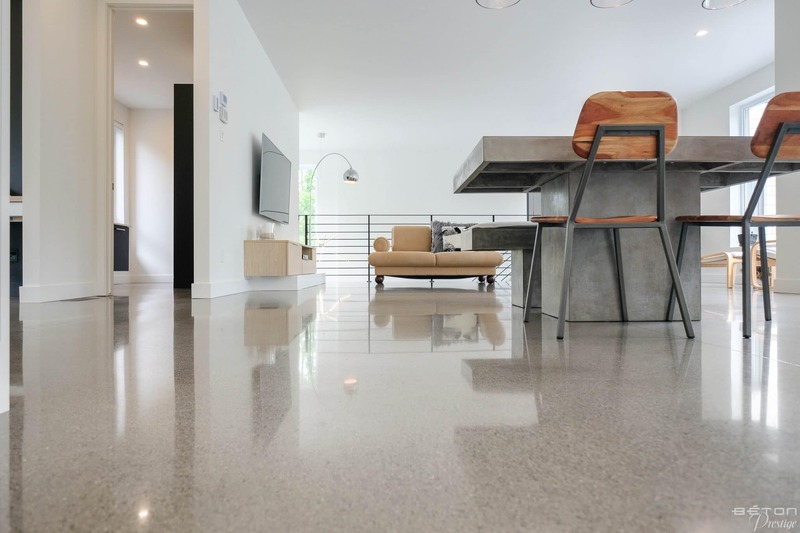 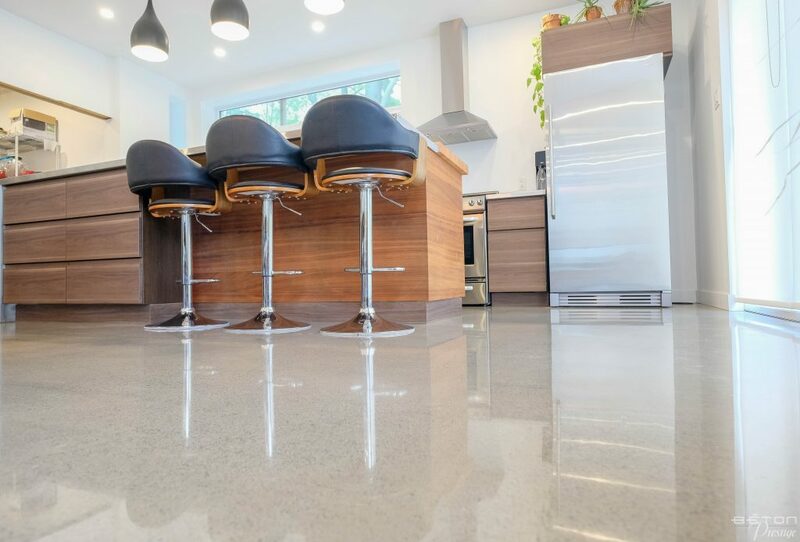 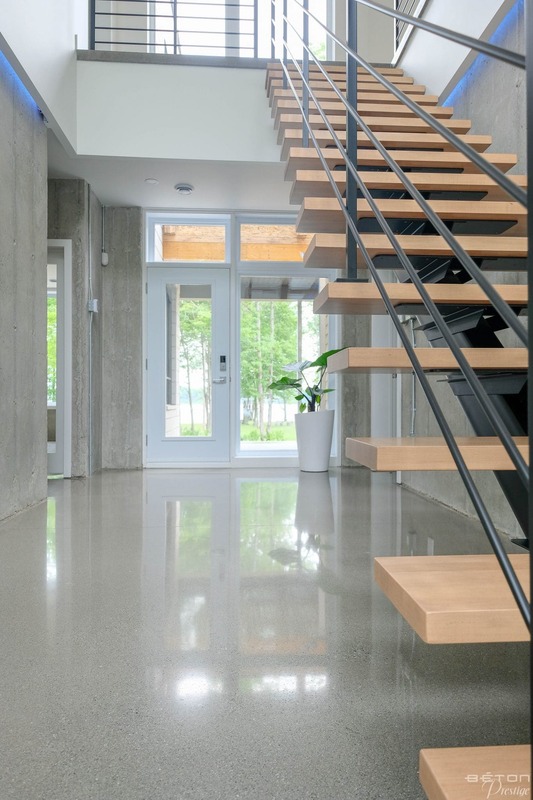 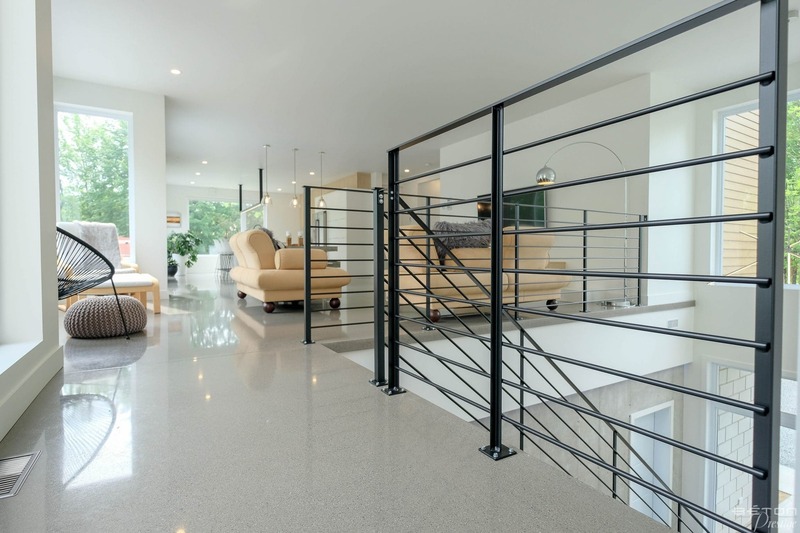 The polished concrete floor considerably brightens the space. 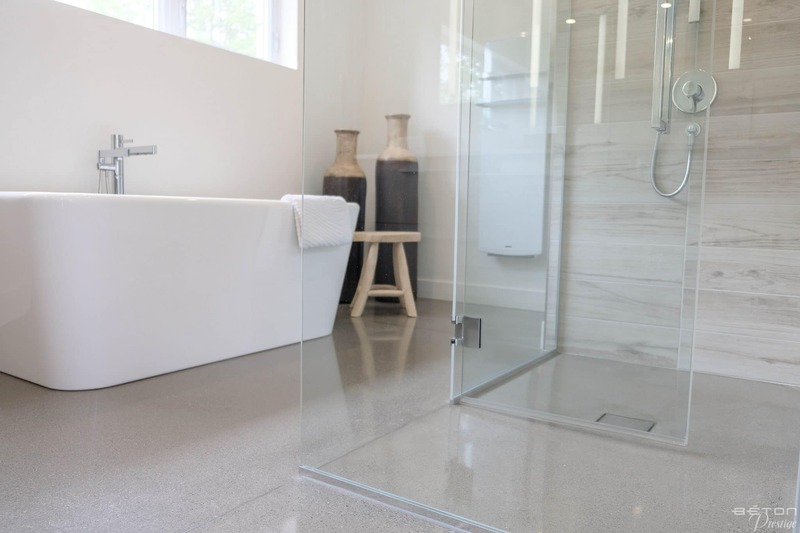 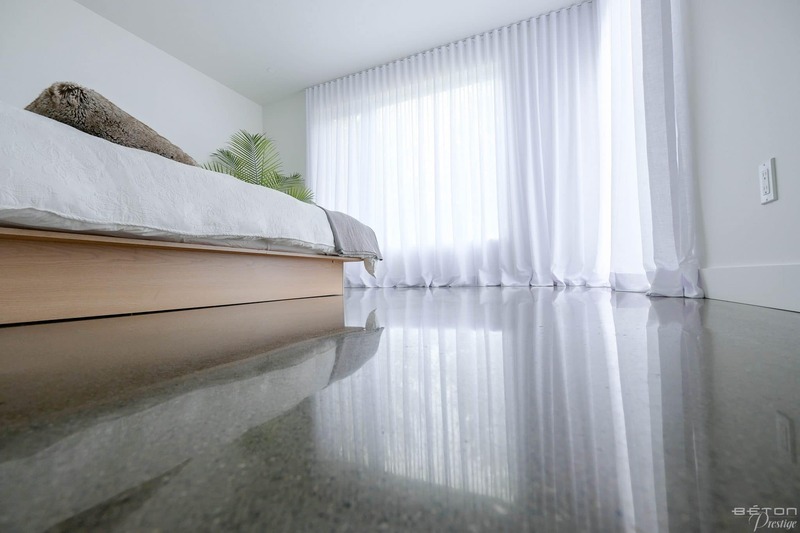 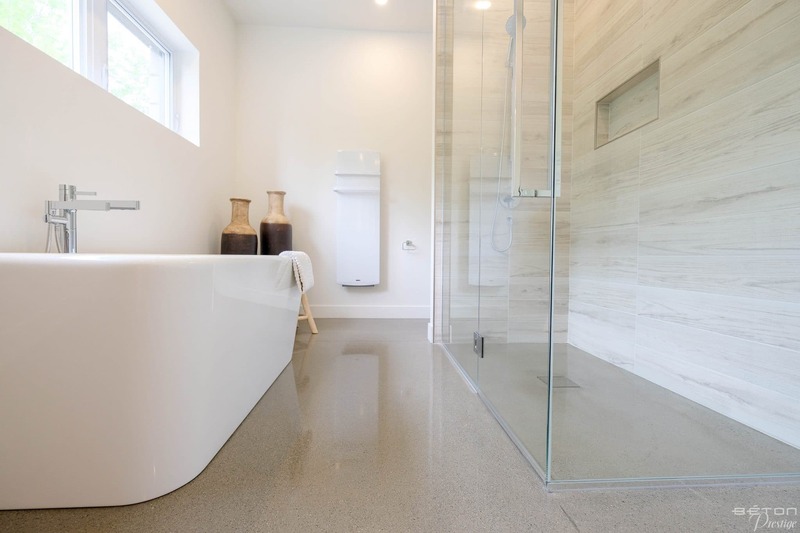 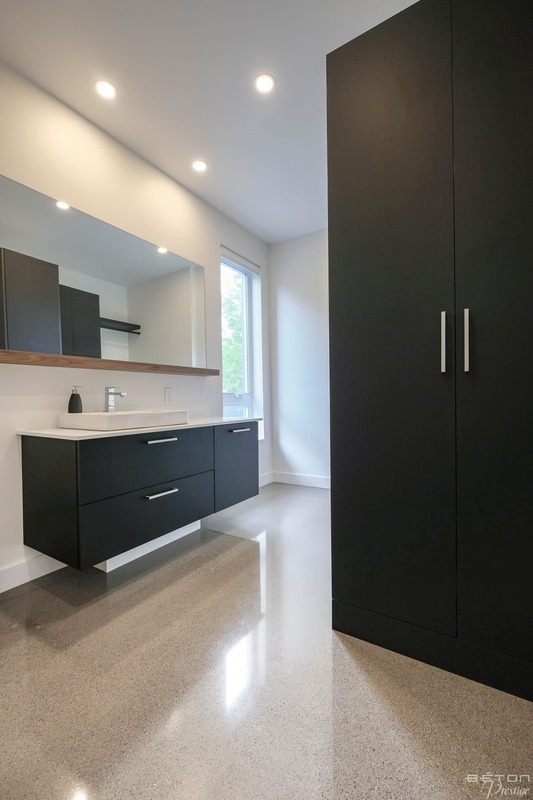 Regarding the bathrooms, the customers chose polished concrete, even for the showers, where central drains specially designed for this type of floor were added.